Despite all of the shiny new digital tools PR pros have at their disposal, the press release continues to be a must-have tool to compete in the content universe. Thus, it&apos;s extremely vital to keep that tool sharp. Our panel of speakers will show you how to better leverage your writing and encourage others to share your brand story. Learn the essentials to craft timely, relevant and, most importantly, shareable press releases that will position your brand in the middle of conversations and at the top of search rankings. For questions regarding this Webinar, contact Saun Sayamongkhun at saun@accessintel.com; 301-354-1694. The live audio is delivered to your location over the telephone or your computer speakers. This is like a talk-radio program with visuals on the Web. You and your team will be able to have a live Q&A with all the speakers. You need Real Player 10, Adobe Flash Player 9 or Windows Media Player 9 installed on your computer. If you do not have either, please follow the instructions below to download and install them. Or if you prefer, a phone for the audio and an Internet connection to let you watch the slides and other information on the Web will suffice. No other downloads or special hardware - a dial-up connection will work fine. *You can now view this Webinar on your iPad, iPhone or Droid! Hardware: AUDIO: Sound Card with speakers. VIDEO: Screen with 1024x768+ resolution support. Registrants that are Accredited by PRSA need to keep track of their points and submit their activities every three years. Please keep a copy of the event description with the date/time listed and submit when you are required to. 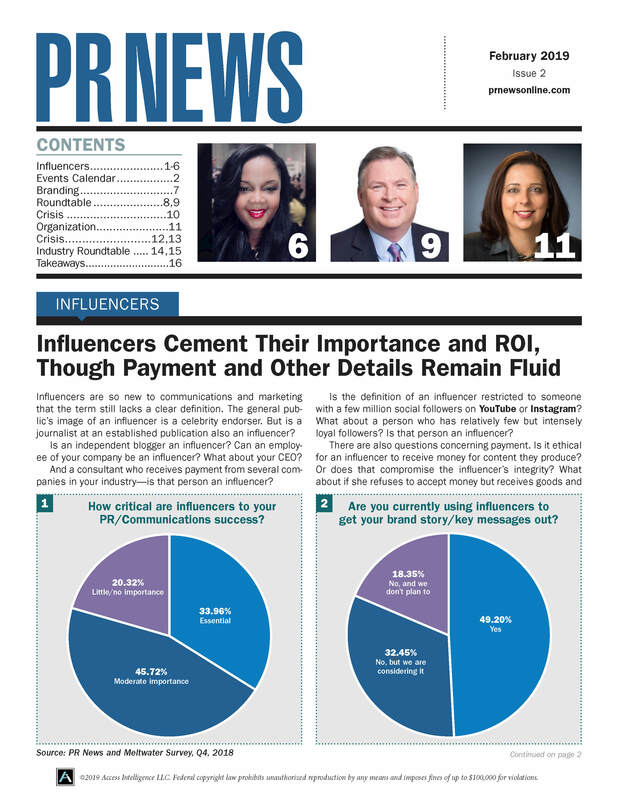 *PR News does not offer any refunds for webinars. All sales are final.